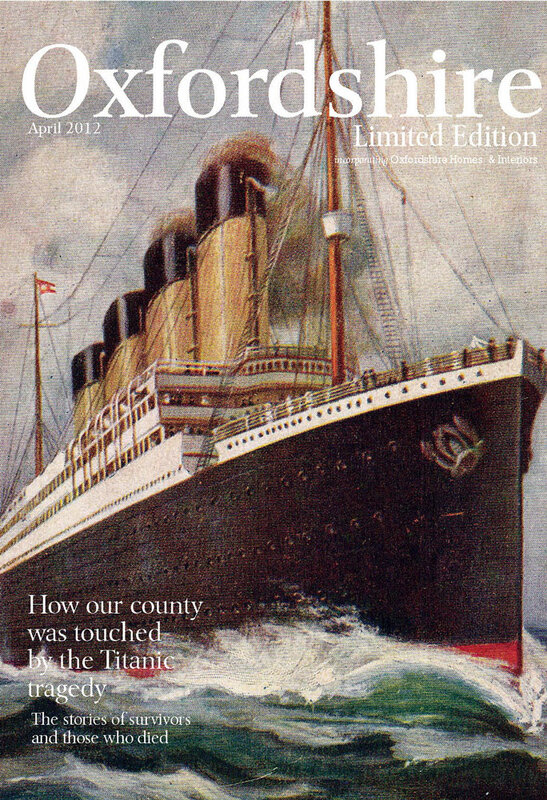 As the 100th anniversary of the Titanic disaster approaches Philip Hind explores why the sinking has etched itself into our consciousness and how Oxfordshire was touched by the tragedy. Some people have a fascination for the Titanic disaster that borders on unhealthy obsession, while for others it has formed the basis of a healthy trade. Even in 1912, Dorothy Gibson, a bit part actress who had survived the sinking, rushed to put her experiences on film. Sadly, her acting ability and the artistic merit of Saved from the Titanic are unknown; the film is lost, but her commercial timing cannot be faulted. Even as the survivors came to terms with the horror of their experience, journalists were hiring boats to rendezvous at sea with the rescue ship, cheque books at the ready. The Carpathia’s resolute Captain Arthur Rostron rebuffed them, but he was powerless once the ship docked in New York. Faded newsreels survive in which crew survivors donned lifebelts and re-enacted the rescue. According to the cruelly businesslike custom of the period, a seaman’s already meagre salary ceased the moment his ship was lost, so it is unsurprising that many were tempted to sell their stories. The Titanic has proved commercially buoyant ever since and in this centenary year the number of books, films, plays and exhibitions commemorating the event has increased exponentially. Titanic has passed into the vernacular: in conveying the futility of an action we talk of moving the deckchairs on the Titanic; where there is unseen risk we warn of the metaphorical iceberg ahead. But while the sinking has had an impact in cultural and linguistic terms, these abstract concepts separate us from the real event. What is it about the Titanic story that continues to fascinate us and in turn attract publishers and filmmakers? Rivet-counting enthusiasts aside, it is doubtful that many would claim an emotional connection to the ship itself, notwithstanding her austere beauty, although perhaps an exception might be found in Belfast where ships have been launched at the Queen’s Island yard of Harland & Wolff since 1861. Having previously neglected its industrial heritage, in recent years Belfast has found, in the construction of the Titanic, an odd sense of civic pride. It may be paradoxical that a city with 150 years of shipbuilding achievement chooses to celebrate a ship whose demise was, in part, hastened by flaws in her design and the material from which she was created. But we should not be fooled into thinking that that sentimental heart has triumphed over commercial head. The new ‘Titanic Quarter’ development has regenerated wasteland left behind by the decimation of the shipyard. The place where hull 401 was turned, through the labour of thousands, from scattered sheets of steel into the pride of the White Star fleet is now home to smart new office blocks, apartments and a Titanic museum. Top speed : 23 knots. But these are merely cold facts until it is realised that to lift and trim the coal to fire the furnaces to generate the steam to power the engines to drive the propellers to push the ship at up to 23 knots took the labour of 322 firemen, 120 trimmers and well over a hundred engineers, electricians and other engine room staff. Each of them had a story to tell, but very few of them lived to tell it. The technical triumph and the human tragedy are key elements a story that, if we are to believe the legend, cut deep into the social and cultural gristle of a complacent world on the brink of world war. The social impact of the sinking may be exaggerated, but those who examine the topic often find in the Titanic a conveniently timed symbol for the end of a mythical ‘gilded age’. 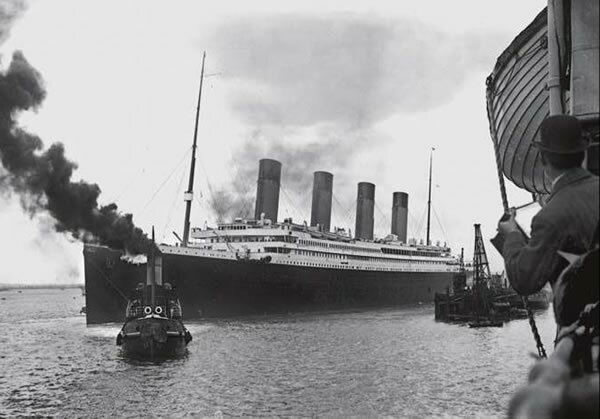 What is certain is that as the Titanic sailed from Southampton on 10th April 1912 she carried with her a fascinating cross-section of society ‘from millionaire to poor man’s son’. In her design and operation also the Titanic embodied the ingrained social norms of the time. In crude terms: the rich on the top deck near the lifeboats and the poor on the lower decks barred - in some cases quite literally - from gaining access to the boats. Barred on shipboard as in life ashore from opportunity and a future. Four days later, on a cold dark night with a flat calm sea, an entirely unexpected event threw together these neatly segregated groups. Subjecting a small minority to four hours shivering uncomfortably in small boats, and the majority to swimming and dying together in a freezing sea. NEARER MY GOD TO THEE! There’s nothing particularly unusual about Lime Walk (residents may disagree); nor is there anything particularly unusual about the small piece of Titanic history that can be found there. A modest brass plaque in All Saints Church is typical of hundreds around the country and around the world. Its sharp edges, lovingly polished, have faded and the ornate lettering has gained a muted patina with the passage of time, but the inscription would prompt any reader to want to know more about the talented young cellist whose untimely death prompted this understated but elegant tribute. John Woodward had been born in West Bromwich but the family moved to East Oxford after his brother Thomas became a Tenor with Magdalen College choir. It takes some effort to picture the young man trundling his cello along the Cowley Road. His mother later moved to Windmill Road, Headington, hence the connection with All Saints Church. 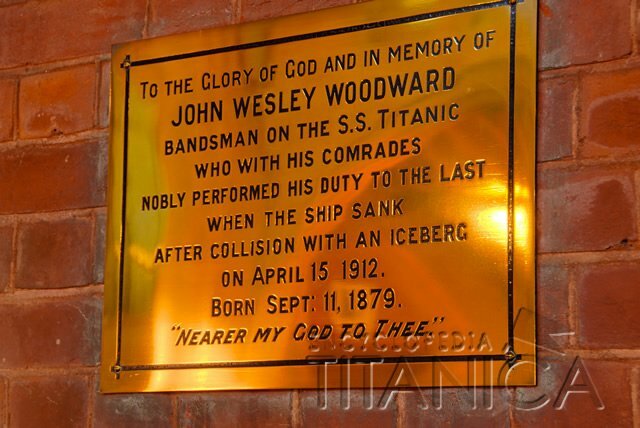 John Wesley Woodward had already narrowly avoided death at sea. 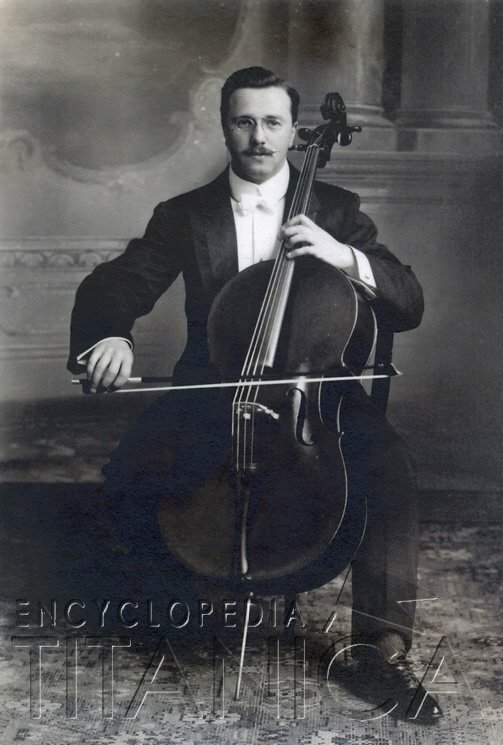 He was sitting with colleagues in their cabin on the Titanic’s sister ship Olympic when she was rammed by a Royal Navy cruiser in 1911; the musician’s quarters were adjacent to the point at which the Hawke’s bow tore into the liner’s hull. The ship’s orchestra have entered Titanic folklore by famously having played hymns as the ship went down. The actual truth is unknown, but the story of unflinching heroism in the face of disaster suited the prevailing mood of the time, and was one factor in the decision by the church and community to erect this plaque in his honour. James Arthur Paintin was born in Thames St, St Aldates in 1882, one of ten children. He was baptised at Holy Trinity Church, St Ebbes where he later served as a choirboy. He married Alice Bunce at the same church on 8 November 1911. Bai jove what a fine ship this is, much better than the Olympic as far as passengers are concerned, but my room is nothing near so nice, no daylight, electric light on all day, but I suppose it's no use grumbling. I hope to make up a bit for last voyage I saved nothing to think of. As the Titanic left Southampton the suction from the huge ship passing though the narrow channel caused lines on nearby ships to strain. the 'New York's' ropes snapped like a piece of cotton and she drifted against us. There was great excitement for some time, but I don't think there was any damage done bar one or two people knocked over by the ropes. Many on board viewed the incident with foreboding and referred to it in letters home. 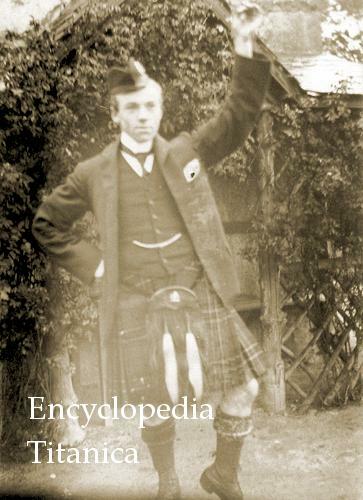 Arthur had intended to leave the merchant Navy in 1912. He and Alice wanted to buy a small hotel in Oxford. It is a tragic irony that Titanic may even have been planned as his last voyage. Alice Paintin had been visiting her family in Oxford at the time of the disaster and rushed back to Southampton in the hope of gaining news from the White Star offices, only to discover that her husband of only five months was dead. In July of the same year, while still in mourning, Alice gave birth to their son. She named him Arthur James Paintin. Amy Stanley was an Oxfordshire girl from an Oxfordshire family. Her father came from Nether Worton and her mother from Deddington. Amy was born in 1888 and baptised in Barford St Michael Church. The family then moved to Wolvercote and as Amy grew up she helped in the family grocery business. She later worked as a dressmaker in Oxford before going into domestic service in Wallingford. 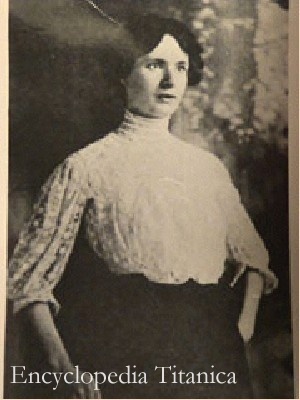 In April 1912, Amy prepared to move to New Haven, Connecticut to become a children's maid. She bought a third class ticket through Thomas Cook & Son. She would have made the journey earlier but a coal strike caused the cancellation of numerous sailings that spring. To: Mrs Stanley, Wolvercote, Oxford. I have had a terrible experience, one that I shall never forget as long as I live. I was writing a postcard the night that the boat struck the iceberg. I got out of bed and asked the steward what was the matter. He ordered all the women back to bed, but I did not go. Then I saw two fellows who assisted us over the railings into the lifeboat. We were rowing for several hours. I seemed to have extra strength that night to keep up my nerves, for I even made them laugh when I told them we had escaped vaccination, for we were all to have been vaccinated that day. Oh! the widows the Titanic has made! Don't you think I have been lucky throughout? Amy was given $200 by the American Red Cross and she went on to New Haven to start her new life. She married in 1918 and died in Rhode Island in 1955. As the Titanic sank the pressure caused her hull to split in two. As the cabins were torn apart the personal belongings of passengers began to fall to the sea bed. Today this impromptu museum of everyday objects lies dispersed around the shattered remnants of the Titanic herself. Since the discovery of the wreck in 1985 salvage expeditions have plucked some of these items from the Atlantic silt. One item that was recovered was an elegant woman’s bracelet with a name made picked out in small jewels. The name was Amy. Was it hers? Probably not, but as with all things Titanic, it makes a good story. This article origianlly appeared in the Oxford Times Limited Edition magazine April 2012.